It’s a big world out there. One of the four peregrine falcon chicks made that discovery as one of its first flights ended into a crash into the window of the police station across the street from its nesting box in the 5/3 building. 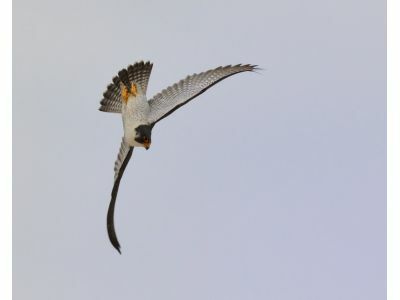 The good news is that the bird is not seriously injured and will be spending the next week at “peregrine summer camp,” a protected raptor rehabilitation site in Southeast Michigan. The bird should be returned to its family soon.